I'm late! Is anyone still around? Project Runway Season 14 finalist (and BPR fave,) Kelly Dempsey. Boston Magazine interviewed Tim prior to the event. "I don’t believe they really looked at the finale collections carefully, because the strongest collection was Kelly’s. Period." 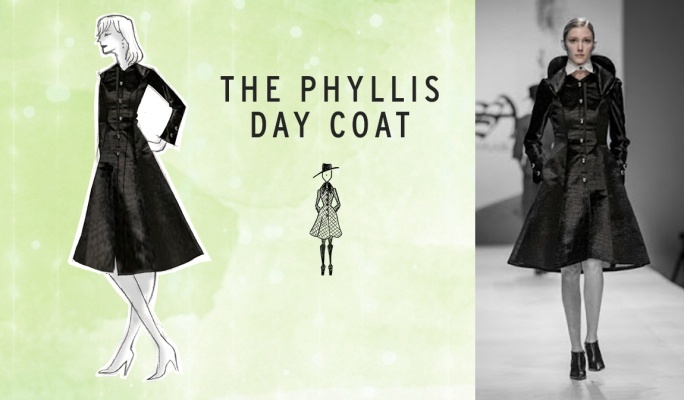 Project Runway All-Star designer, Patricia Michaels, is a featured artist in the "Native Fashion Now" exhibit at the Peabody Essex Museum near Boston. BPR Field Reporter, Tina G attended the opening day events and sends us this report. Thanks Tina! On November 21, I had the pleasure of attending “Native Fashion Now“ at the Peabody Essex Museum in Salem, Massachusetts. If you are a “Project Runway” fan, a show of this title might bring to mind Season 11 designer Patricia Michaels, and rightly so, because Patricia’s designs open the show! 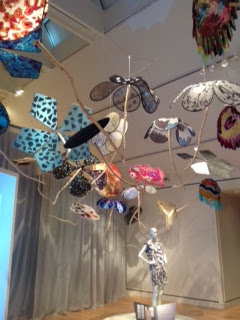 The show opens with beautiful parasols, which are suspended from the ceiling, framing a dress. Each parasol is made from fabric that Patricia hand-dyed and wrapped around wire frames. The video playing in the background is of the Palm Desert show that Patricia participated in upon the invitation of Michael Costello of PR Season 8. The display is breathtaking and is a fitting opening to the show. Hello again Junior fans! It's BPR party time as we welcome in the First Lady on a big flat screen. It's also a double elimination night for the teenage designers. There are sure to be tears. There is only the crying of laughter in the party room though, click on the comment tab to join the fun! Is Project Runway For Sale? 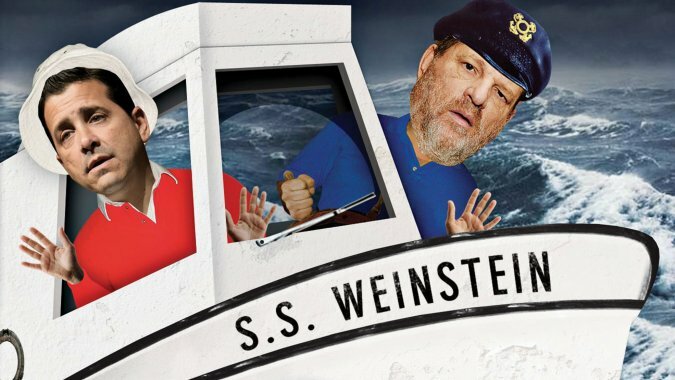 Sources tell THR that Weinstein's Board of Director's will meet December 11 in New York for a frank discussion of the company's future.It's the first get-together of the boats since the Weinsteins and Glasser instituted cost-cutting measures (including about 50 layoffs) and put together a new business plan for the veteran indie studio. As rumors of a possible sale of some or all of its assets continue to swirl, the board will discuss several key issues including the company's financial situation....and how to carve out individual TV assets if the entire division can't be unloaded for the right price (a rich deal with ITV fell apart earlier this year). 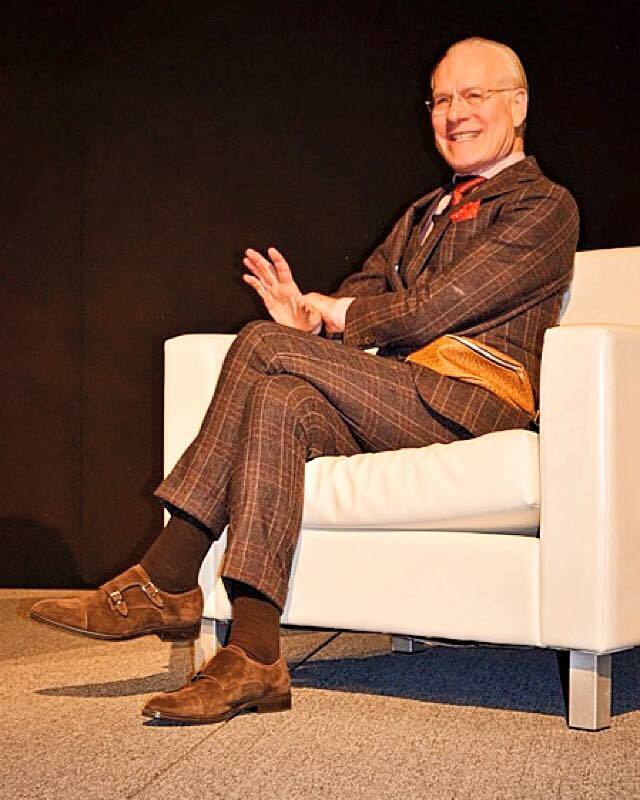 Sources say the Project Runway franchise, in particular, has several bidders interested. Project Runway has always been an asset of personal interest for Harvey Weinstein. His wife Georgina Chapman has been directly involved with Project Runway All Stars and he has used the franchise as a vehicle to get some of his screen stars extra publicity. It will be interesting to see how this plays out. Project Runway Champion, Seth Aaron Henderson has made six original designs available for your votes on Betabrand. The deigns that receive the most votes will move forward to the "funding" phase. Click here to see all six Seth Aaron designs and vote for your favorites! 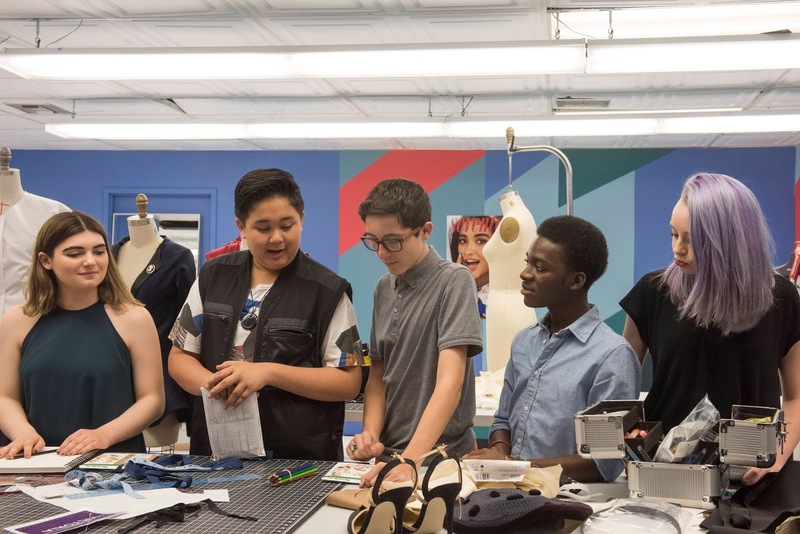 Eliminations on Project Runway Junior seem especially painful for everyone involved. What did you think of tonight's team challenge and results? Post your reactions to Episode 3 here. Welcome back BPR party people! We hope you had an enjoyable Thanksgiving break, but it's time to check back in on the kids. It's team challenge time for the Juniors and we are here to watch it go down. Click on the comment tab to join the party.